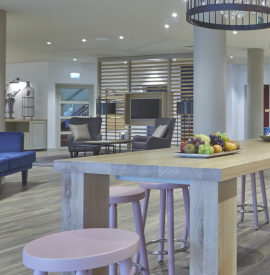 The Upstalsboom Parkhotel offers first-class products and high quality service in the Parkrestaurant, at the hotel bar and in the chill-out area. Whether it's by delicate dishes of the region, ever-changing theme buffets, a selected choice of beverages or a comfortable ambiance in the chill-out area, we make sure that you have a smooth holiday. Furthermore, the hotel comprises a 24-hour front desk, conference rooms, fireplace room, roof terrace, elevator, parking possibilities for bikes, rental bikes, in-house parking spaces and an underground garage. Enjoy the cozy atmosphere and the generous space in our 94 rooms and suites. 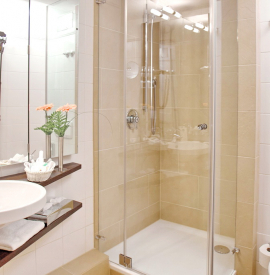 The comfortable facilities include TV with SKY Sports, free wifi, coffee machine, safe, minibar and hairdryer. Some rooms have a balcony and there are also handicapped accessible, smoking as well as non-smoking rooms available. Family friendly rooms are available on request. And please don't leave your dog at home, because dogs are welcome here. Our rooms are available on arrival day from 03.00 pm and on departure day until 12.00 pm. The Upstalsboom Parkhotel convinces with its central location in the seaport city Emden. Downtown can be reached by foot within approx 10 min. It's approx. 0,5 km to the next highway and approx. 2,5 km to the train station. 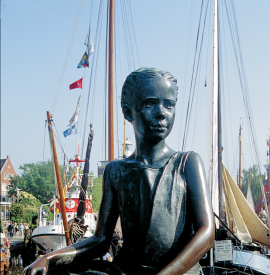 Emden is very popular throughout the whole year due to its location at the North Sea, Dollart and Ems.